We are thrilled to announce that the new version of DivvyCloud has been released! Twice a quarter, DivvyCloud releases new product features and 18.3 is our third release of 2018. We’ve made our Insights and Insight Packs more powerful through expanded security and compliance standards support, especially with NIST 800-53 and NIST CSF, and with additional visualizations. Insight Packs map our Insights against the controls found in security and compliance standards, including HIPAA, PCI DSS, CIS, GDPR, SOC 2, NIST CSF, NIST 800-53, ISO 270001, and FedRAMP CCM 3.0.1. Customers can use these packs to quickly ascertain how their cloud infrastructure scores against these standards. 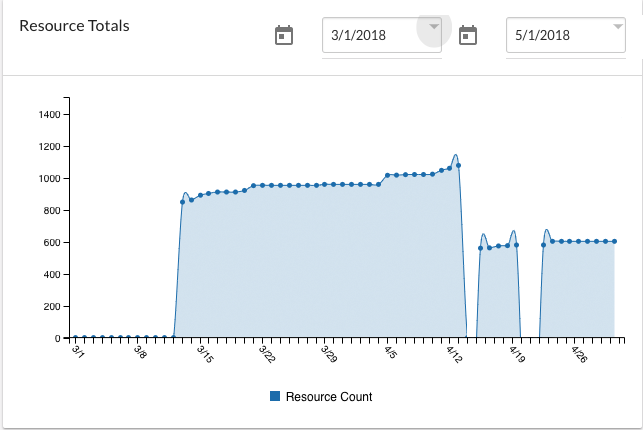 With 18.3, we’ve expanded several Insight Packs, including NIST 800-53 and NIST CSF, adding more than a dozen Insights based on new cloud services added in this release. These additional checks will accelerate customers’ ability to ensure continuous compliance with these standards as they go forward in the cloud. Our Insights have become even more powerful with the new ability to visualize the trailing 90 days of historical data points. This is especially useful to establish a benchmark to measure your organization’s improvement against security and compliance standard over time. Many DivvyCloud customers implement our software in “brownfield” cloud environments and this feature helps them report on the impact of the automated actions they have configured in DivvyCloud to enforce these standards. AWS Enhancements: AWS is a rapidly evolving platform. As customers continue to adopt new AWS services, DivvyCloud works to provide additional security Insights and automated remediation capabilities for these services. With this release, DivvyCloud introduces support for DynamoDB, WorkSpaces, and Simple Queue Service (SQS). This brings DivvyCloud’s AWS support to over 40 AWS services. Interested in learning more? Click here to view the full release notes associated with our 18.3 release, or schedule a demo to see our features in action.